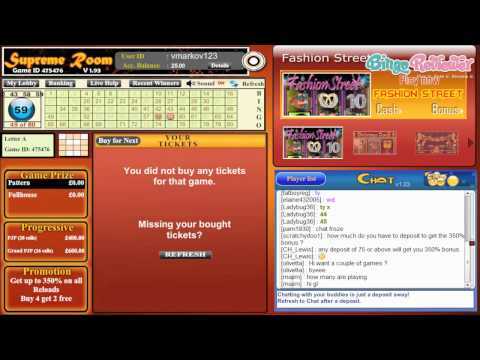 Players are advised to avoid this bingo website at all cost. Reports about non payments and ridiculous terms and conditions. Their decision to re-brand and distance themselves from Bingo Castle is just a poor attempt to sweep all the outstanding issues under the carpet. The bingo castle has been transformed and with the new renovations, a new name; Bingo Cheers. Like any restoration of a castle, all the magnificent elements are still intact while offering a bit more to players. It’s out with the old and in with the new look and feel of Bingo Cheers. The reconstruction is a welcoming change and in celebration, two ruby red wine glasses sit side by side waiting to quench the thirst of eager bingo players. The burgundy and red hues compliment the celebratory clink of the fine wine in a rich backdrop of the homepage. Existing players of the former Bingo Castle will keep the same login details and all personal data will be recognized and unchanged. Bingo Cheers makes a claim that “the entire site will remain the same, except the change in website name and URL”. There was one slight change and worth noting, the license and regulations previously in Cyprus are now in Costa Rica. Bingo Cheers powered by the proprietary software Game Point Inc. and are a subsidiary of Yucca Technologies registered in South America. Kaemon Technology owns the online bingo site and is 100% secure bearing the COMODO seal of certification. To get started and enter the gaming lobby a short and easy sign up form is necessary without requiring the hassle of registering a credit card. There are five categories of gaming to choose from offering a nice variety and gambling options for players. The 90 ball and 80 ball bingo have two big cash prizes including the Jackpot and the Grandpot. Play in the Supreme Room for 80 ball and the Majesty Room for 90 ball bingo, both offering exciting games features with Side Games and Chat options for a more enhanced bingo and chatting experience. One of the nice perks about Bingo Cheers is that players have an option to play games in Cash or Bonus including Progressive Jackpot Slots. There a total of 4 Progressive Slots to choose from including Witch in the Villa and Lucky Pets. Other Slots include 5 reels with 50, 40, 30, 25, 20, 9 and 5 pay lines. Blackjack, Roulette and Keno complete the gaming package of choices for players to indulge in. Bingo Cheers is generous with Bonuses and new players learn quickly what all they are rewarded with. Upon a successful registration players are complimented with a Sign Up Bonus followed by a Deposit Bonus on the their first three transactions. Every weekend on Saturday and Sunday a Castle Special Bonus is offered during certain times of the day. To redeem simply contact live help during the indicated hours after you have successfully completed your 4th deposit with Bingo Cheers. The Promotions page is neatly laid out with tabs for every day of the week Monday through Sunday. Every day promotions include King Sized Daily Cash Raffles for players who meet the required deposit for that day with up to 10 winners depending on the given day to win a cash prize. Coverall Games happen daily with £1,000 games available every single day of the week. The new web design and look is strikingly modern. There is promotions for every day of the week enhancing the gaming pleasure and offering more ways to win cash prizes. We rate Bingo Cheers with 1.5 Pink Hearts. Thanks for the warning i did have an account at Bingo Cheers and have not went back after the name change simply because i have not got around to it. I came Bingo reviewer to check out the bonuses and saw the warning. I think it is about time i delete my account at Bingo Castle. I would have never known otherwise so thanks for the heads up. Bingo Cheers changing their name was not a very wise move to go completely rogue. I thought changes for businesses was for an improvement instead Bingo Cheers decided to take a one way road to destruction. Thanks Bingo Reviewer for keeping players in the know!